Relaxing and bird-watching in one of the beautiful lodges in the outskirts of Arusha. Arusha is Northern Tanzania's hub, and the jump-off point for safaris anywhere on the Northern Circuit, which includes Ngorongoro Crater, Serengeti National Park, Lake Manyara National Park and Tarangire National Park. Your stay in Arusha will typically be one or two nights at the beginning and/or end of your safari. At almost 1,400m, Arusha has a pleasant climate all year round, and can be a lovely place to relax and acclimatise after a long international flight, or shake the dust off your boots and reflect on your memories after a few days of safari. Whilst central Arusha can be dusty and noisy, there are any number of charming oases in the surrounding hills and coffee plantations. Nearby, there is also the lovely village of Usa River, which has several charming accommodation options and an abundance of birdlife. Arusha is also home to a selection of excellent social enterprise projects, several of which focus on getting disadvantaged or disabled individuals into work. A visit to one of these projects, such as the Shanga workshop, located at Arusha Coffee Lodge, can be a rewarding experience and helps bring much needed revenue to some of the people who need it most. Arusha has a wide variety of hotels and lodges to choose from, with a selection of our favourites listed below.  However, we have visited a large range, suitable for all budgets, so if you don't see something you like on our website, or you're not sure which is best for you, please don't hesitate to give us a call on 01993 899 430, or email inspire@oxfordprivatetravel.com, we would be delighted to craft your own tailor-made safari. Add a night or two in Arusha to your itinerary to break up the journey and give yourself some relaxation time. Pay a visit to the Shanga workshop and learn about this wonderful social enterprise that helps disabled people into work in Tanzania. If your international flight is in or out of Kilimanjaro International airport, you may wish to consider staying in nearby Usa River, rather than Arusha itself, in order to minimise travel time.